Once again Harley is following Triumph's footsteps, albeit clumsily and slowly. "for financial year 2017, Triumph sold 63,404 motorcycles compared to 56,253 for the financial year of 2016. " 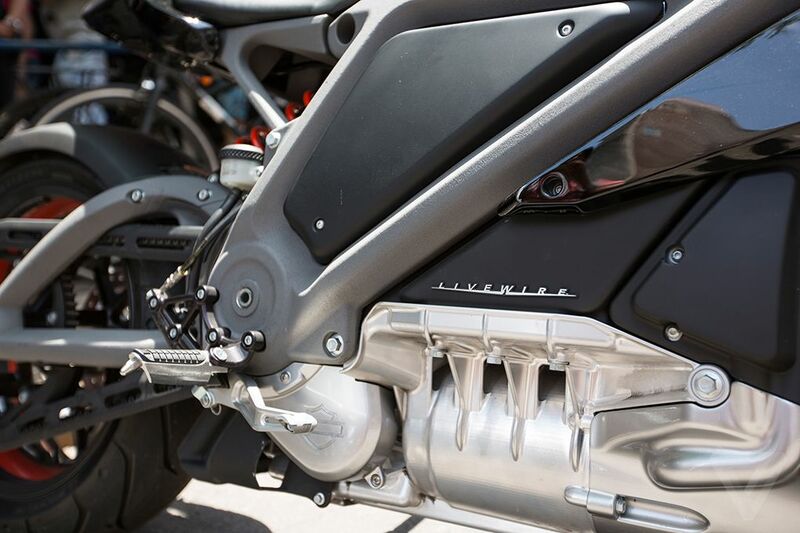 "The Milwaukee company reported a 7.9 percent drop to 241,498 motorcycle shipments in 2017 and expects the figure to continue dropping. It forecast 231,000 to 236,000 motorcycle shipments in 2018." Looks fairly significant to me. I used to work in Microsoft, doing internet safety for IE and Windows. The trend and the attitude were similar, until it reached critical mass, and within a year IE's market share fell from 85% to 17%. Heavy, bulky, slow, hard to use browser, with most bugs fixed by then but the reputation lingered sounds familiar? Things don't happen that fast in the physical world due to inertia, but preferential cascade is the real phenomena in something so subjective as motorcycles. Legislation is great, but it won't go anywhere without a change in the public's perception of motorcycles and riders. Like I've said before, as long as the media, the WSP and the rest of the public view motorcyclists as reckless outlaws we will not see pro-motorcycle legislation even make it to a vote, let alone a law. We can either sit back and enjoy our little hobby until it dies, or is killed by the "Nanny state", or we can become active proponents of it. Yes, that may mean prosthylitizing. And really, what's so wrong with that? Why wouldn't you want to share with others about something you love? I think you have missed my point(s). Those members of the public who view riders as outlaws probably won't have their attitudes changed by any of us talking unicorns and rainbows. One or two jerkwagon morons stunting in or around others are the bane of our existence. I would suggest that you look in the mirror however, based on your comment that the WSP and "the rest of the public view motorcyclists as outlaws..." Making generalizations about LEOs and the rest of the population is as bad as assuming they do the same about us. I am going to sit back and enjoy our little hobby. I will share my interest in it (and other things that I like) with those who show curiosity. I feel no need to fervently wave motorcycling's flag to the rest of the world. I do not fear the nanny state taking bikes away in my lifetime. I hope that I have made my point. Anything further would just be redundant. To quote Dale Evans, "Happy trails to you, until we meet again." I'm not talking about individual LEOs, rather the WSP's public comments regarding motorcycles and pro-motorcycle laws. It's no different than their official stance on speed limits and front mounted license plates. Just go back and watch their spokesperson's comments regarding proposed lane splitting laws, or shoulder use laws. Irregardless of what real studies have shown, they claim that lane splitting does NOT make it safer for motorcycles. Same for shoulder use, or filtering. The only reason Califonia managed to legalize it was because CA law enforcement understood the realities of it, and how it is a benefit to both the rider and the other drivers. Had the CHP not been on board it probably would have been a different story. I wonder whether it's because California cops don't get any money from ticketing riders for these offences, while Washington cops do? Harley has some issues they need to get sorted out...but...they've had the same issues over the last 12 quarters or so. One would imagine that as a public company HD CEO Matt Levatich is on fairly thin ice unless he can show significant gains against his primary competitor...Polaris Industries (Scott Wine, CEO)...which showed sales up 17% in Q4 of 2017. Virtually all of those sales came at the expense of HD. "Harley-Davidson’s first production electric motorcycle will debut in 2019. The ailing motorcycle giant is looking for a spark"
"its range is around 55 miles in an economy mode and around 33 miles in a "power" mode. Charging time is about 3.5 hours." "It's missing Harley's 'classic' sound." They are building a plant in Thailand to avoid a 60% Thai tariff, plus gain a tax advantage when exporting to other countries that neighbor Thailand. and there's gonna be a wall. And how is that even related to the topic? It's a Q code. If you have to ask, it aint meant for you.